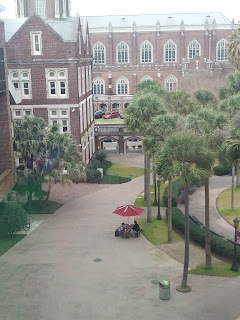 the view from the art building. Service & social justice are big on campus, which has a very Jesuit feel. 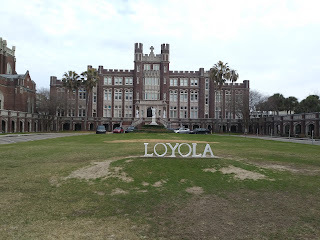 If you like Cheverus, you'll like Loyola! 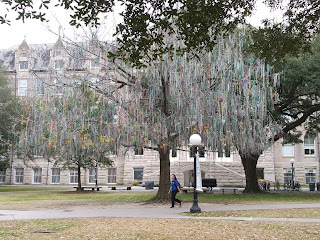 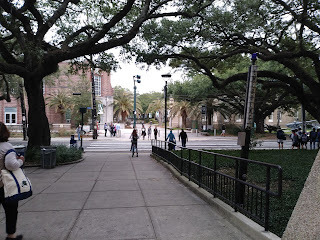 Tulane University, right next door. 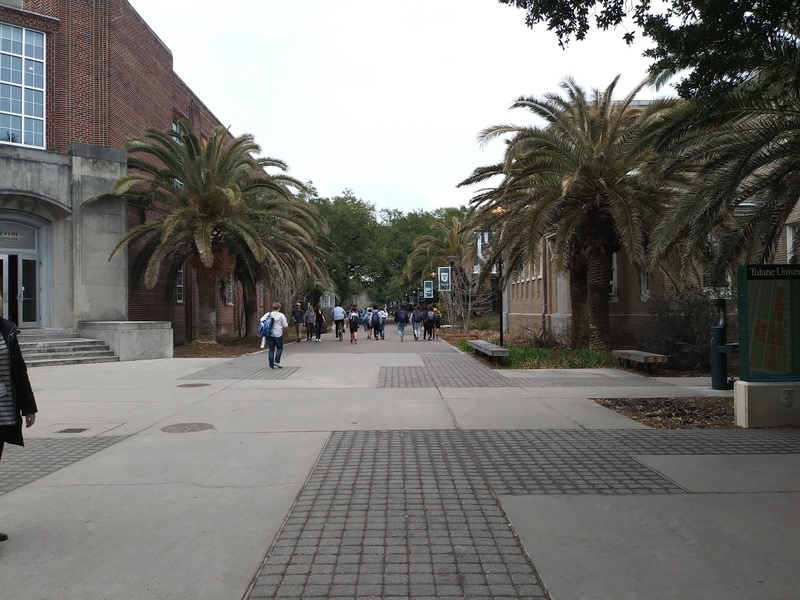 Much bigger in student population and campus size. 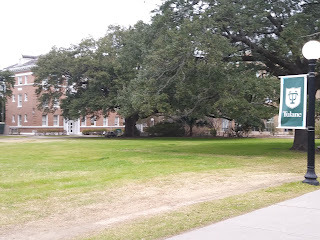 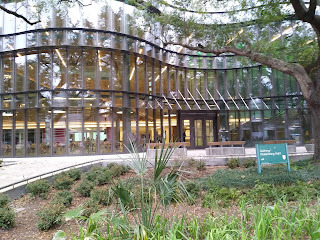 the business building was built as a curved structure to acommodate old growth trees. 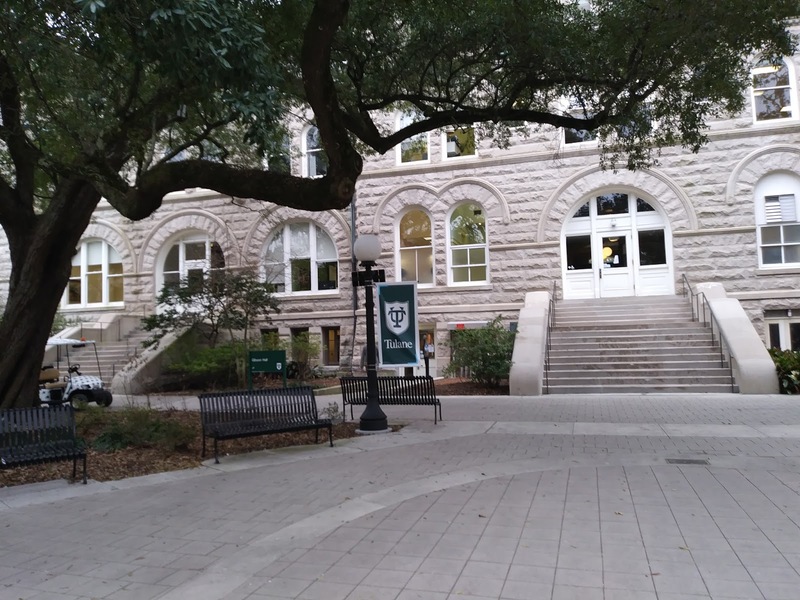 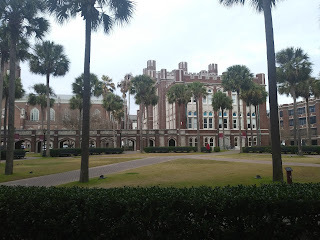 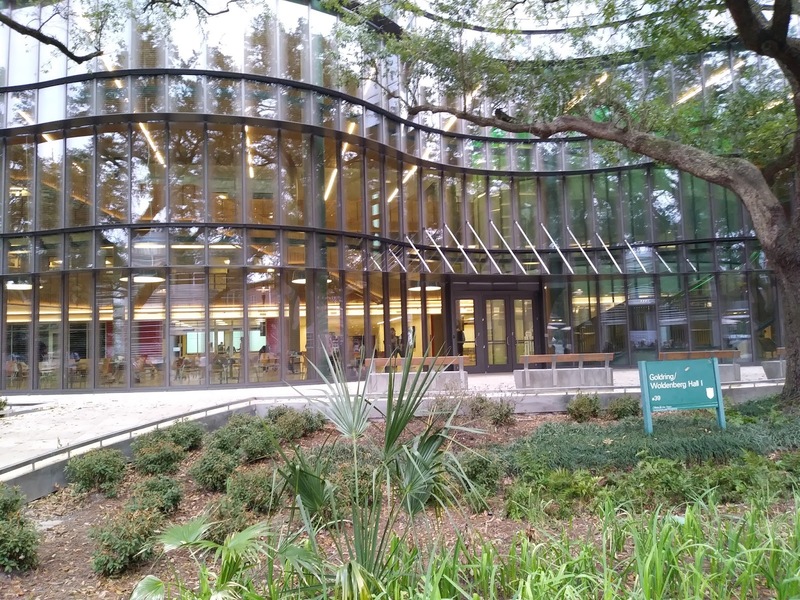 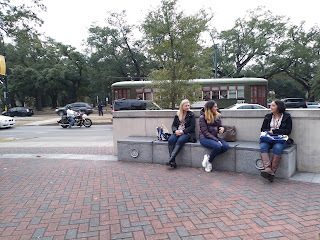 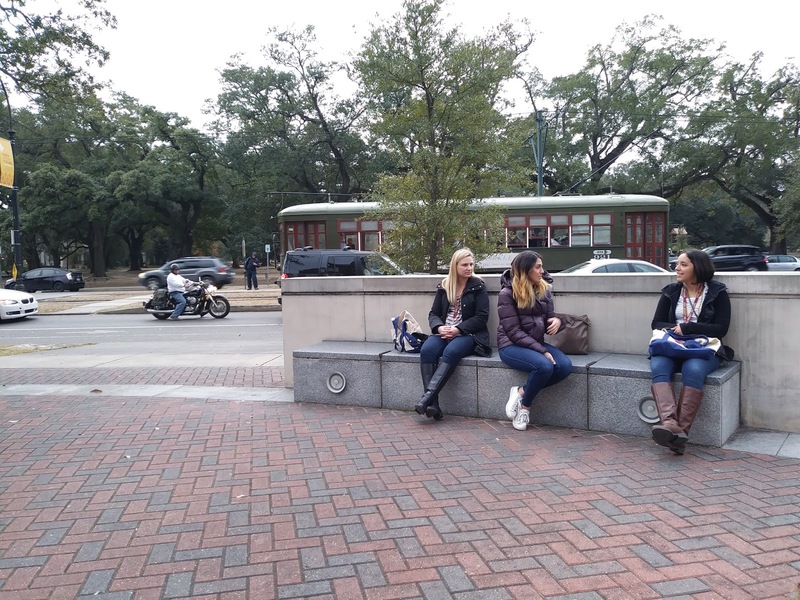 Loyola and Tulane share some facilities like dining and coffee houses, and students can cross-register for classes. 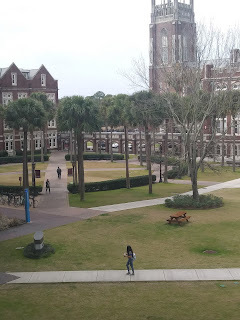 The two universities are much more friendly & cooperative than in years past, when they were competitive with one another.